1 : I am slightly claustrophobic and I hate sitting in that dark small room. 2 : I hate the waiting time when a single girl attends to multiple customers. 3 : I dread the pain when the wax is being pulled away from my skin :( Tears roll down my eyes even while I write this. 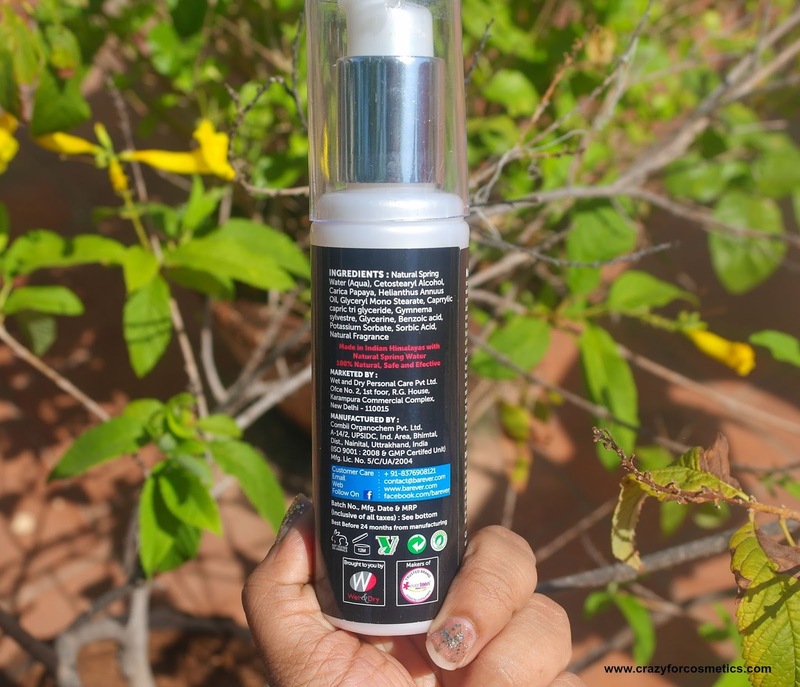 When this product made its rounds last year in the blogging world, I was head strong that I should lay my hands on it and see if it helps reduce my unwanted hair growth. Now lets see if it fares my test well !! 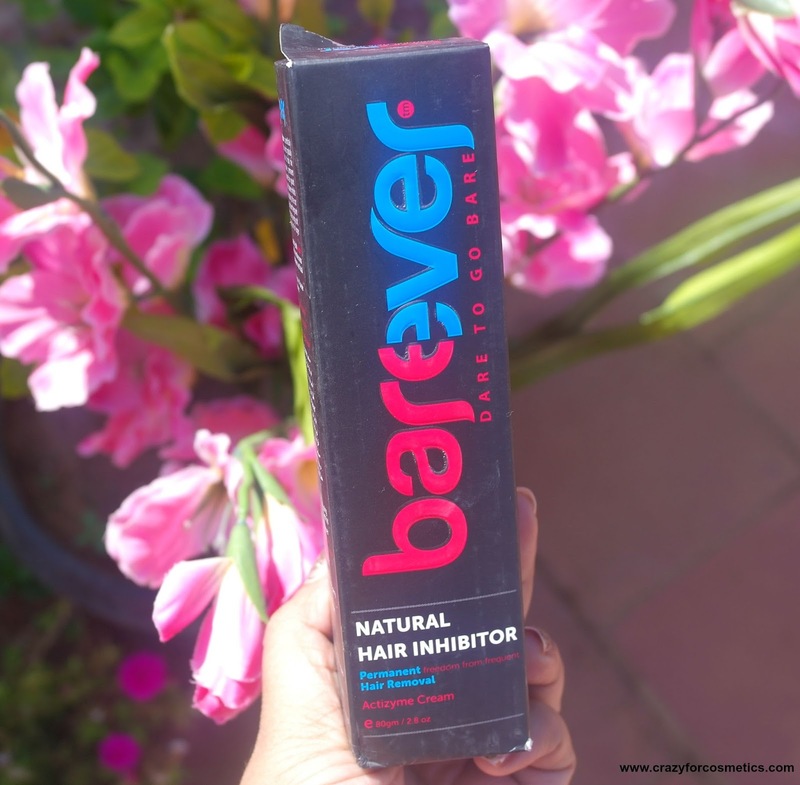 What is barever natural hair inhibitor ? 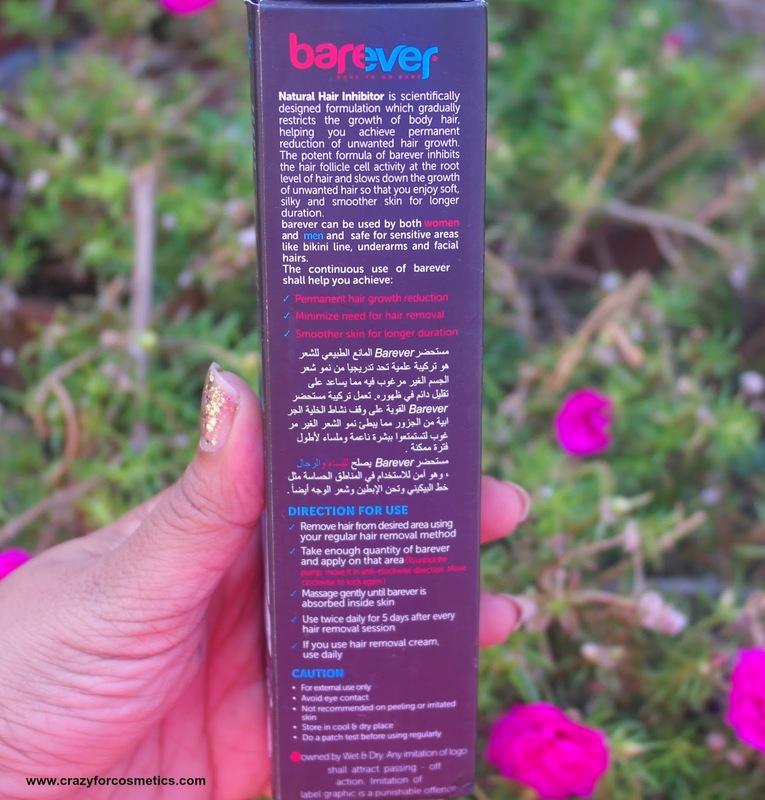 Barever Natural Hair Inhibitor is a scientifically designed formulation which gradually restricts the growth of body hair helping you achieve permanent reduction of unwanted hair growth. The potent formula of Barever inhibits the follicle cell activity at the root level of hair and slows down the growth of unwanted hair so that you enjoy soft, silky and smoother skin for longer duration. Barever natural hair inhibitor works best in tandem with your hair removal methods as the follicle pores open during that time which helps better penetration into the skin. The potent formula of Barever natural hair inhibitor seeps into the open pores and reduces hair growth by inhibiting the activity of hair follicle cells. Acting at the Anagen stage of active growth phase for hair follicles, Barever natural hair inhibitor first slows down the formation of new hair at root level and then reduces the density and thickness of hair. It gently stops the growth of hair by naturally making them weaker, thinner and finer resulting in soft, silky and smoother skin for longer period. After using Barever natural hair inhibitor together with 3 sessions of your hair removal method, you will realize that the growth and thickness of hair has reduced to a level where the need of your prior hair removal method is decreased significantly. After using barever together with 3 sessions of your hair removal method, you will realize that the growth and thickness of hair has reduced to a level where the need of your prior hair removal method is decreased significantly. Barever natural hair inhibitor is formulated with ingredients derived from plants which make it 100% natural, safe and effective. The only side effect which you will have with Barever is that body hair growth will be reduced but that is also the main effect for which you shown trust in Barever. Gone are the days when chest hair used to be identification a real man. Now is the time to have smooth & hair free chest to show the curves & six packs. 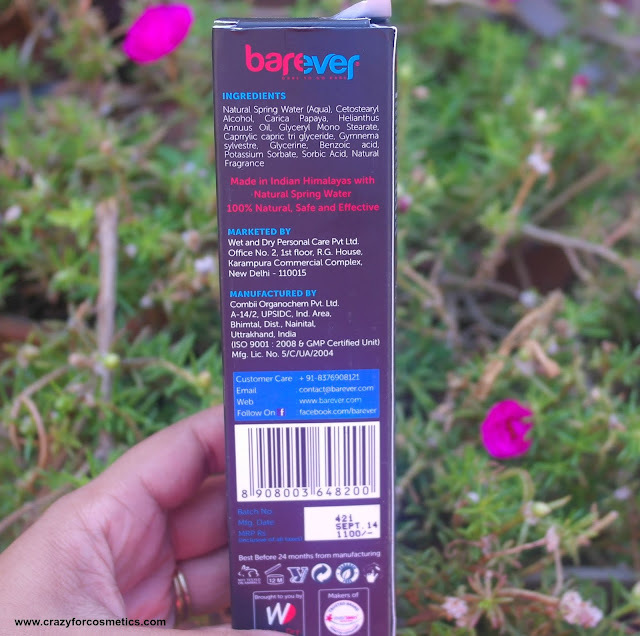 Barever natural hair inhibitor is equally safe for both men & women. 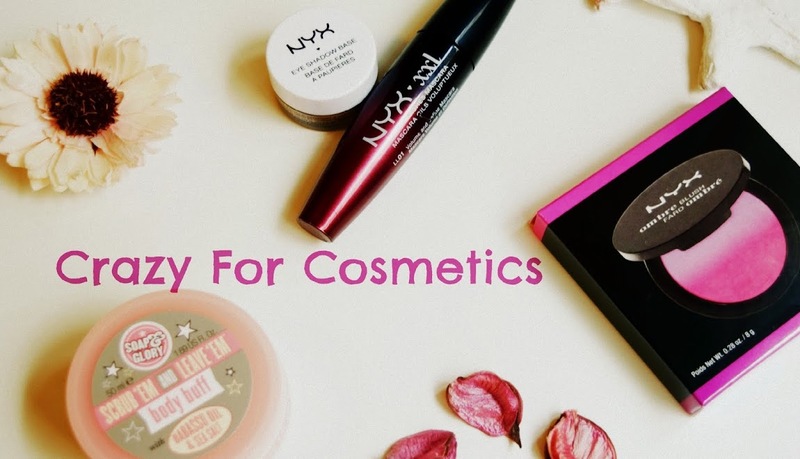 The product comes in a black plastic packaging with a pump dispenser and a lid. It is quite a bulky packaging but fail proof for travel purposes. It came with an information booklet that has exact details of how to use the Barever Natural Hair Inhibitor and how it works. Really impressed with the information provided both on paper and on their website. 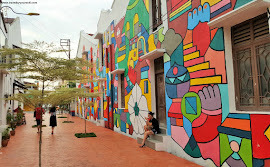 Their website is really good with all the relevant details and we can shop from them directly too. 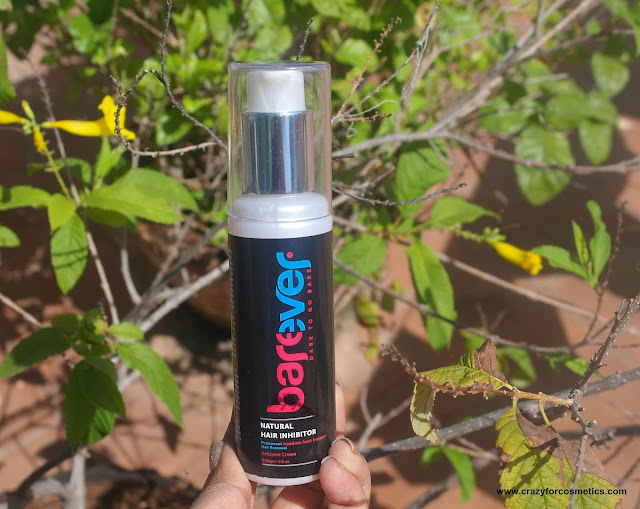 The Barever Natural hair inhibitor has a thick creamy consistency and a strong pungent smell which is quite bad for the first few minutes when applied. The product has to massaged into the skin where hair has been removed (preferably waxed) and it takes about few minutes to completely sink into the skin. I tend to sweat in areas where I apply the cream and I need to keep wiping the sweat for about 10 minutes after which I am good to go. I applied the cream meticulously for 5 days following my waxing routine and here are my observations. The Barever natural hair removal cream does not have any side effects on my skin. Though the smell is awful, it fades over time. It slowed down the growth of the hair but did not completely stop it. The hair on my upper lips area became a little thinner , but the hair in my under arms area continues to remain thick. Takes time to be absorbed by the skin. Continuous usage may slowly stop the hair growth. 1 : No side effects. 2 : Reduces the hair's thickness in regions like face. 3 : Can be used by both men and women. 5 : Delays growth time of hair. 6 : Can be used anywhere on the body. 2 : Every time the hair needs to be waxed(as per their instructions) for better effects. 3 : Takes time to work on thick hair.